Everybody loves Christmas decorations, but the only thing that can make them better is when they’re edible. 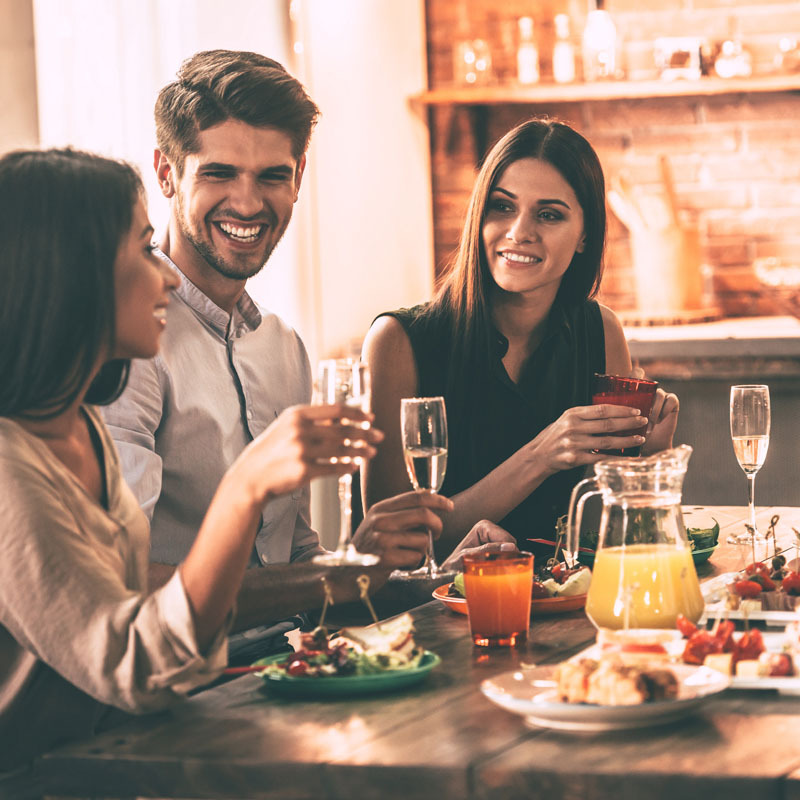 If you’re planning a Christmas Day feast for your family, then you’ve probably planned most of your menu with relative ease. But what do you do about your table centrepiece? You want something festive and bold, something that will make an impact. But what about something edible that can be enjoyed with the eyes throughout the main course before being spectacularly destroyed and eaten after supper? 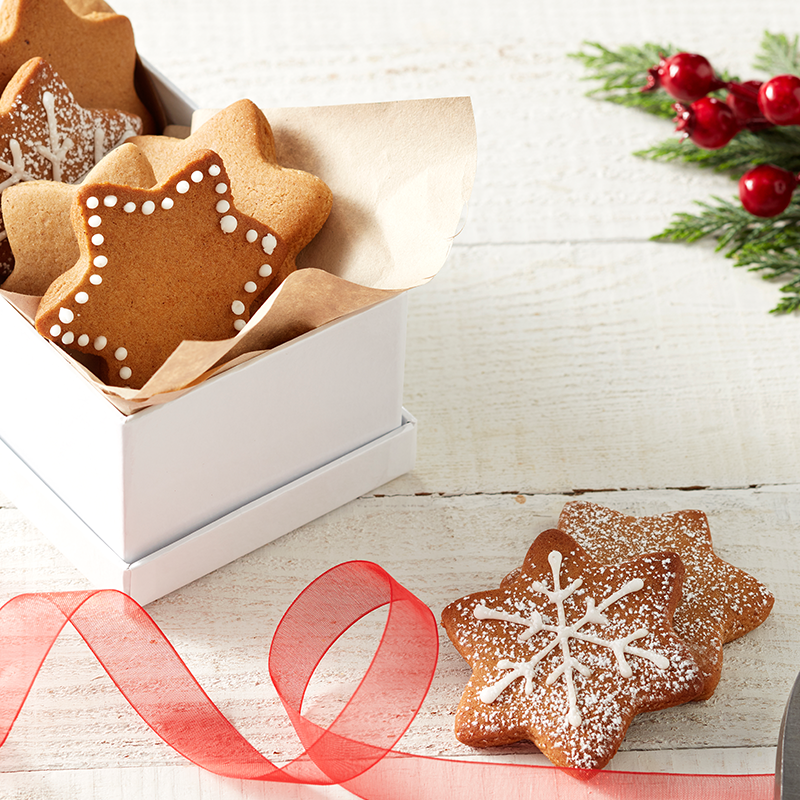 Put your regular decorations and baubles to the side, this year we’re making our centrepieces in the kitchen. Classic Christmas shapes and colours combine with sweet fruits for a display that is so much better than a fruit platter. 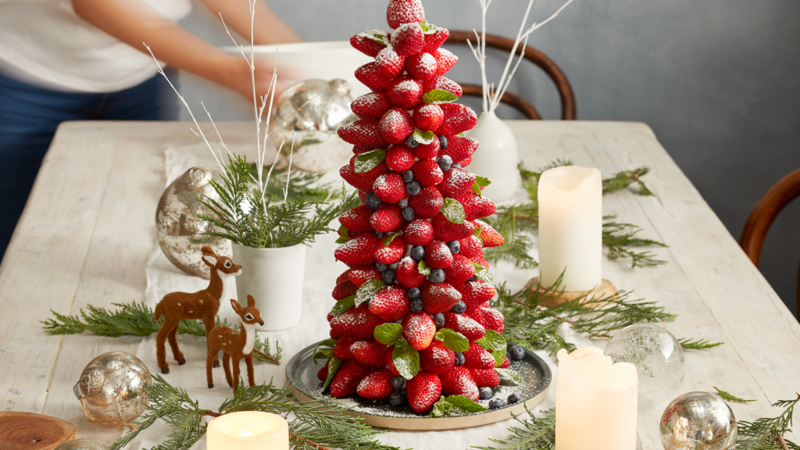 Whole strawberries are arranged in the shape of a Christmas tree, interspersed with blueberry ‘baubles’ and sprigs of mint for added pops of colour. A final light dusting of icing sugar adds an element of fun and whimsy to the display. Wrap the cone in a layer of baking paper and secure with toothpicks. Attach your strawberries to the cone by sticking a toothpick a third of the way into the berry, and pressing the other end into the Styrofoam. The toothpick may press further into the berry in the process so be gentle. Start adding your strawberries in rows, working from the bottom to the top. With each new row, stagger the berry placement so each on sits between two on the row below. Once you’ve covered your tree with strawberries it’s time to add the blueberries. Identify the gaps that need filling and push in a toothpick so that there is only 1cm visible, then gently push your blueberries onto the toothpick. Add small sprigs of mint throughout for a hit of freshness. Finally, dust lightly with icing sugar. 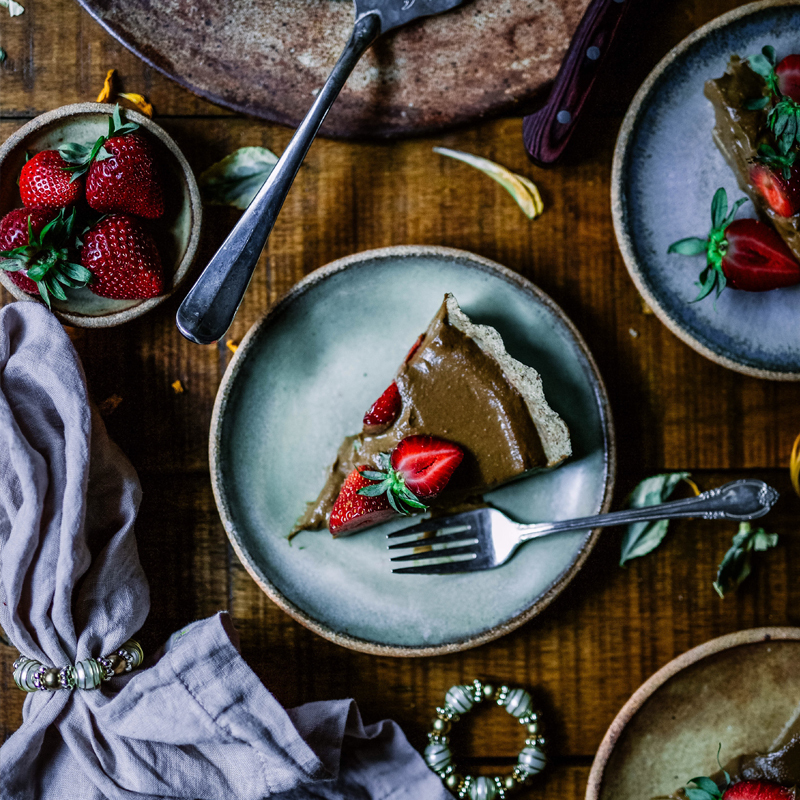 Note: You can use melted or tempered chocolate as an alternative to toothpicks, however due to the high temperatures we generally see on Christmas Day in Australia it may be difficult to get the chocolate to set properly and secure everything in place. If using this method, ensure you’re constructing and storing the centrepiece in a cool, air-conditioned room. Kids will love to help you assemble and decorate a classic gingerbread house – but not as much as they’ll enjoy smashing it to pieces when the time comes to eat it. Whether you want a cute cottage or a stately mansion, a beautifully decorated gingerbread house will always be an effective festive centrepiece. Use our classic gingerbread recipe, but rather than cutting out your men, you’ll need to cut out the pieces for your house. Start by making a stencil out of cardboard to test your design. A classic cottage-style house will require arrowhead style shapes (a square with a triangle on top) for the front and back, plus you’ll need four rectangles for the side walls and the roof. Practicing with cardboard first will ensure your house assembles easily. Cut your pieces before baking and trim their edges to get them back to their original shape while the gingerbread is still warm. Allow to cool completely then build your house using royal icing as the cement to hold your pieces together and for the decorations. Royal icing can be made by whisking together 2 large egg whites and 1 1/3 cups of icing sugar until smooth. Add another 1 1/3 cups of icing sugar with an electric mixer until it forms stiff peaks, adding more icing sugar if you aren’t getting stiff peaks. Cover with a damp tea towel to stop it from drying out as get underway with your construction. Then simply pipe your icing between the pieces and hold together for several seconds until the icing dries enough to secure it in place on its own. Decorate with icing, candy canes and other lollies. If you’re already planning on baking up a batch of our delicious shortbread biscuits, there’s no reason you can’t transform them into an impressive centrepiece. Bake up a big batch of shortbread and cut into stars of varying sizes – try to get as big as possible right down to an inch small so you can stack the tree nice and high. After icing and decorating, simply stack your cookies from biggest to smallest on a serving plate in the middle of your table and place the smallest star upright on top. Regular round cookies can be placed between the layers of stars to stretch out your centrepiece if required.